Densely-branched, erect, woody, evergreen perennial. Coastal shrub and hedge plant up to 6 m tall, with strong spines at the tips of the branches. Flowers white or pale mauve, followed by 10 mm wide orange-red berries. Flowers Whitish to pale mauve, 10-12 mm in diameter, slender corolla tube 10-13 mm long. Flowers Jul-Mar. Fruit Poisonous orange-red round berries 5-12 mm in diameter. Seeds dispersed by birds. Leaves Narrow, oblong, up to 40 mm long by 12 mm wide, hairless, almost stalkless. Alternate on young shoots, in clusters on mature stems. Stems Tough, woody, alternately branched, with strong 13 mm terminal spines. Hedges, waste places, sand dunes and coastal places. 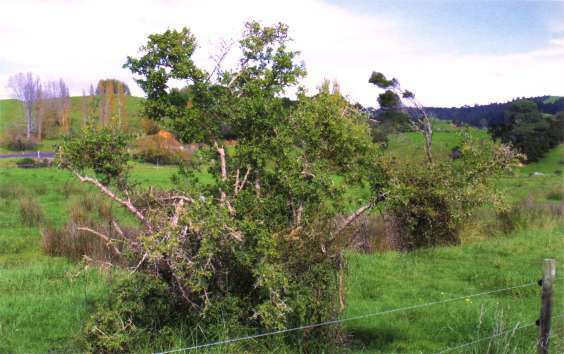 Common as stock-proof hedging in dairying districts of coastal Auckland and Taranaki in NI. Occasional in coastal localities in SI as far south as Foveaux Strait. Originally from South Africa. 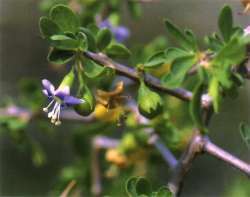 Used as an excellent hedging plant in some areas, and rarely spreads into good pasture, but is a troublesome weed in some broken country. 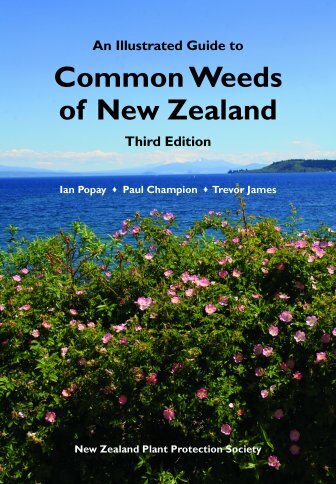 Subject to Pest Plant Management Strategies in several regions of NZ. Details are available from individual regional councils or unitary authorities. Lycium Gr. name for a thorny tree; ferocissimum (Lat.) = very savage.